The 50 States of Broadband | Strategic Networks Group, Inc.
How are States Progressing with Broadband? How is your state faring in the race for broadband? Are your strategies for broadband access, adoption, and economic growth enabling you to be competitive? In early 2016, Strategic Networks Group (SNG), in partnership with the Rural Telecommunications Congress, undertook a first-of-its-kind census of States to gauge the state of broadband efforts and outcomes. We are proud to bring you the 50 States of Broadband Report that looks at five key dimensions of broadband: availability, adoption, meaningful use, growth investment, and regulation. 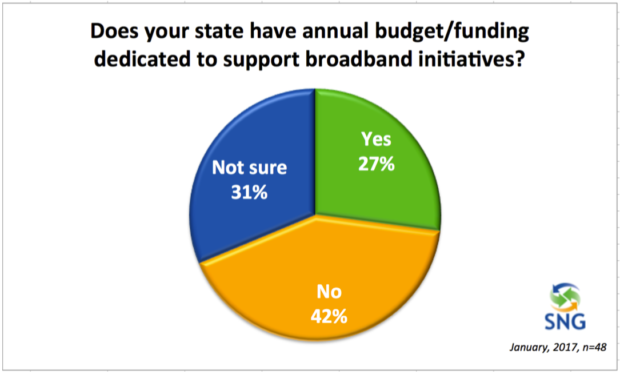 The goal of this research is to reveal what each State is doing regarding broadband and to share this information among all participating States toward further progress on improving their state of broadband. Strategic Networks Group (SNG) is pleased to bring you the current state of broadband activity and investment across the United States in a newly-released, unprecedented 50 States report. Download this free report today to discover A State-by-State Study on the state of broadband investment and activity. 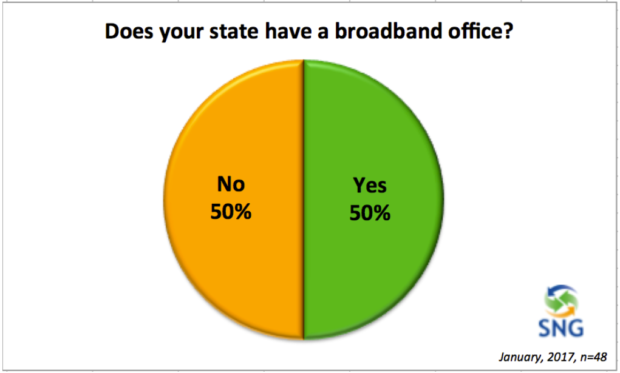 The state of broadband availability as well as efforts on broadband initiatives varies considerably by each State. SNG’s research shows that States with a focus on broadband, such as having a broadband office, undertake and support more direct activities to increase availability and to promote adoption and meaningful use – even without major investment. 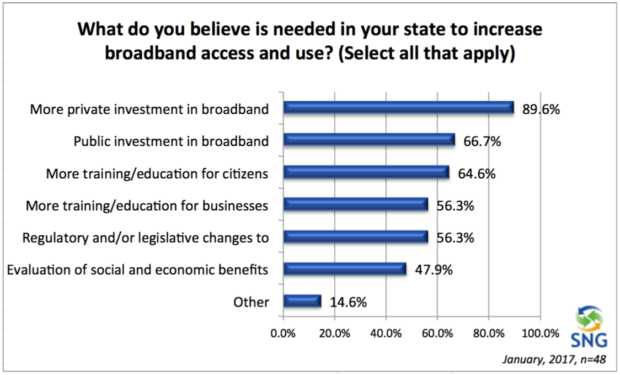 While almost every State has put effort into broadband in recent years, more than half believe that more is still needed. At the same time only one in five States track and measure economic and social outcomes from their efforts.